Gozo is a sleepy, dreamy, and ancient island. The rugged coastline offers visitors some wonderful swimming spots, a few sandy beaches, scenic cliffside walks, and world-class scuba diving sites. The iconic Azure Window and surrounding Dwejra Bay are a must for visitors, as is Xlendi Beach, with its dramatic white cliffs and turquoise water. 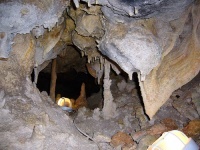 Those interested in the geological features of the island, or in Greek mythology, will enjoy exploring the caves of Xachra, including Calypso Cave, named for the nymph that supposedly seduced Odysseus to stay with her on the island. 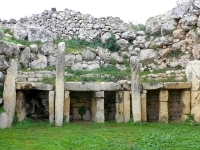 The mysterious and ancient Ggantija Temples, which seem to grow naturally out of the rocky landscape, are UNESCO-listed and very exciting to explore. There are many cultural and historical attractions clustered together in the Citadel. This old, fortified section of Victoria houses a number of interesting museums and boasts some of the best views in Malta. Gozo also has a number of beautiful churches, including Our Lady of Ta' Pinu Basilica, the Church of St. John the Baptist, and St. George's Basilica. It's not exactly a party destination, but a holiday in Malta is incomplete without a jaunt around beautiful Gozo.